When I was young (before the internet), we used to go out to the hills out past the outskirts of town. Climbing up and down them hiking was our activity. Sometimes we would use rocks as places to set our feet to help make the climb easier. Of course you had to be careful. A rock might look solid, but if it wasn’t anchored to the hill, it could shift and lead to a fall. Of course some were obvious. A rock sitting freely could easily shift. Others were harder to spot. A rock might seem deeply embedded in the side of a hill, but loose dirt, cracks, or mud could serve as a warning. I found myself thinking about that watching the disputes of theologians about what we are called to do to be faithful Christians. Especially when some I once deeply respected took a stance I could not follow in good conscience. If we think of the Hill as symbolizing the teaching of the Church, and the rocks as individual theologians, we can form an analogy. The theologians can help us grasp the teaching of the Church more clearly...if they are firmly anchored to the truth. But if they are not, they will most likely cause a fall. I think the the “loose dirt, cracks, or mud” to beware of in this case is whether they give the proper “religious submission of the intellect and will” (see Code of Canon Law 752-754) to the Pope and bishops in communion with him. If they start to undermine that authority, beware! They are no longer safe to rely on. Of course, at this point, usually somebody will point out that we have had heretical bishops and morally bad Popes. I believe that is to fall down a rabbit hole. The heretical bishops are acting against the communion with the Pope. The morally bad Popes are not teaching. They are not “proofs” justifying disobedience to the teaching of any Pope or Bishop. It’s important to note that the dissent is not limited to one faction. Yes, in the post-Vatican II years, some liberals (political and theological) were (and still are) infamous for rejecting the magisterium when it comes to moral teaching on sexual ethics. But some conservatives (political and theological) are using the same playbook, rejecting the moral teaching on economic and social justice. Now, it is true that some sins are graver than others in the eyes of God. Some are intrinsically evil. Others can become wrong because of intentions and circumstances. Yes, the Church recognizes that some sins are worse than others. But to think that because we don’t commit sin X, we are right with God is to reenact the role of the Pharisee in Luke 18:9-14, forgetting that the deadliest sin is the one that sends us to hell. We might not be murderers or abortionists. But if we commit other mortal sins, we will still be damned if we are unrepentant. This is warning of unstable ground: the unshakable conviction of being in the right. The saints were humble. They recognized their weaknesses. They knew of their own need for salvation. But if we tend to be proud of our behavior and look to the sins of others as a proof of being in the right, we’ve become arrogant. Instead of leading by the example of repentance, we tend to have a hard “@#$& you!” approach to those who sin in different areas than we do. We’re tempted to think that they must reach our level before they can be forgiven, forgetting the parable of the merciless servant (Matthew 18:21-35). I think this is the meaning of the oft misinterpreted Matthew 7:1-5. It doesn’t mean we can’t call an action morally wrong. It means we must remember that the same God who judges our enemy also judges us. If we are so focused on the sins of others, we will lose sight of our own sins and need of salvation. We will forget to be penitent and to forgive those who trespass against us—a vital condition for being forgiven ourselves. This should not be interpreted as a morally lax approach to life. Some things are morally wrong. We may not do them. We must warn others about them. But the Christian life is not one of lording it over others or exalting ourselves. Correction must be done with humility, not arrogance. This is what we must watch for. No doubt some teachers in the Church will disappoint in their personal life or in administering the Church. But when they teach in communion with the Pope, they have the authority to bind and loose. If we reject that authority, we reject Our Lord (Matthew 18:17, Luke 10:16). 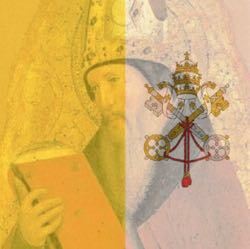 If what they teach seems contrary to what the faith seems to mean to us, we must consider the possibility that we have either misunderstood the Church or the Pope accused of heresy. We must recognize that God protects His Church or we will be unable to give the submission required. If we will not do this, if theologians will not do this, we become unstable stones that send people falling. Then woe to us (Matthew 18:6).